I’m not exactly a ramen enthusiast, so a new ramen joint opening in Manila doesn’t excite me. 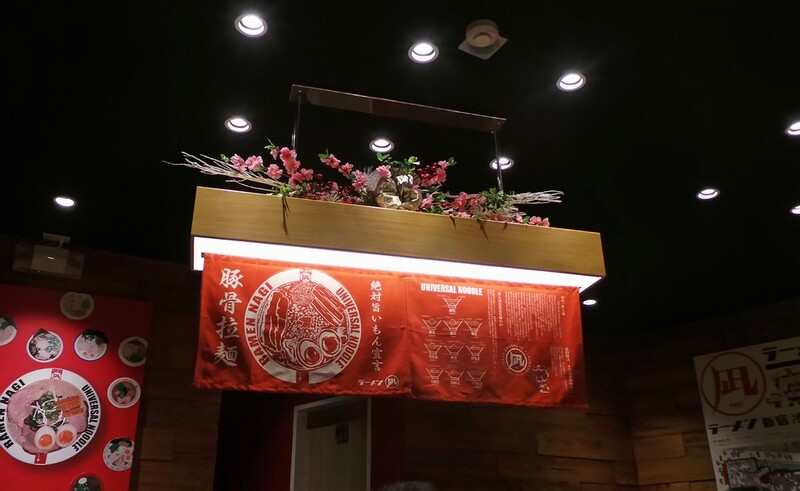 But when Ramen Nagi first opened shop, I have to admit, I was curious. I was mostly curious because of the hype. Apparently, Ramen Nagi is a big deal in Hong Kong, but it’s named Butao Ramen there. For some reason, I didn’t see it on any of my trips there. In Hong Kong, diners have to wait for hours on end just to sample a bowl of their famous tonkotsu broth. However, I’m not a food expert and to me, food is either “good,” “bad,” or “okay.” And to me, once I’ve tried one tonkotsu broth, I’ve tried them all. I immensely enjoyed the ramen at Yushoken, Ukkokei, and Wrong Ramen. My man and I tried twice to secure a table at Ramen Nagi in SM Aura, but we were never lucky. The little restaurant was absolutely packed, and the line seemed to hold twice as much people, eager as I was to see what the fuss is all about. Eventually, the heat died down and we were finally able to try it, except this time, at Greenbelt 3. We didn’t have to wait. The restaurant is much larger, and some tables are split between three pairs. It makes for some awkward dining (something I couldn’t get around while I was in Hong Kong), but hey, if the ramen is that good, you won’t be able to talk for the rest of the meal. 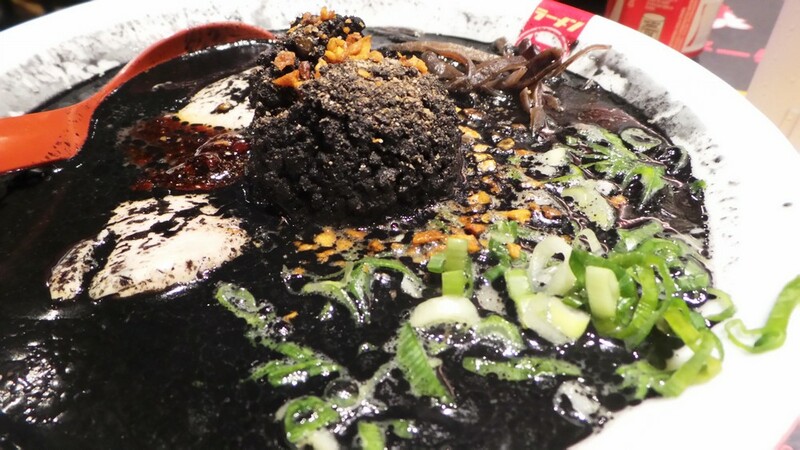 My palate isn’t that sophisticated to discern one broth from another, so I decided to get the Black King (Kuroo), a bowl of squid ink, blackened garlic, and a ball of minced pork. This is the bowl that made Butao famous in Hong Kong. Aside from the Black King, there’s the Red King (Akao), which has cayenne pepper, the Green King (Midorio), which has pesto and parmesan, and the classic Butao variant featuring the hours-cooked tonkotsu. The Black King was on the “good” side, but the flavor and richness were intense. I liked it, but it’s not something I’ll have again in the near future. Luckily, you can customize your ramen, including the richness of the broth. Or you can do what I did and have the chef’s recommendation. If I’ll be back, I’ll definitely take the richness a notch or two lower. My man didn’t like the Green King that much, as it was a little too experimental for his taste. He liked the Red King better, which he tried before. The decor has a lot of warm wood, creating a soft and inviting atmosphere. 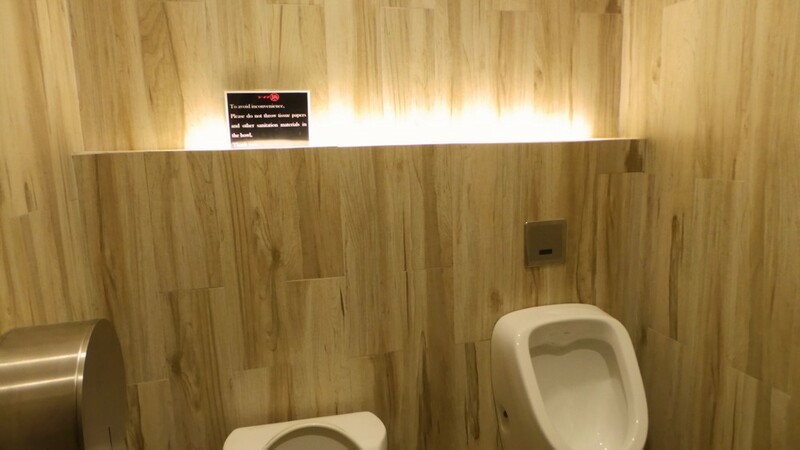 The restroom also had wooden panels, except in a lighter shade, which I really liked. The overhead lamp had these cute cherry blossoms on top. Their chairs were also nice, but I was seated next to a stranger so I didn’t take photos. The ramen was good, but it might be a while before I return. By then, I think I’ll be able to pop in a shop and get a seat right away.